Many IT organizations have had the same data protection tools and practices for years, even decades, and see no need for that to change. But Application Owners need to know that they'll be able to recover their data at the application level when distaster strikes, and yesterday's solutions are simply not up to this job. 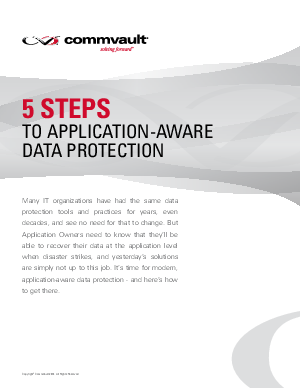 It's time for modern, application-aware data protection. - and here's how to get there.